Foreseen by prophets before Jesus' birth, witnesses by many during his life, and read about by millions since, the miracles of Jesus are a distinguishing aspect of his mortal ministry. Both then and now, these miracles are powerful witnesses that Jesus is the Christ, God's anointed servant and the Savior of mankind. He performed many miracles ranging from feeding multitudes to giving sight to the blind and restoring life and health to the infirm. But these miracles were more than just blessings to the individuals involved. Each one contains symbols that teach us about Jesus, his atonement, and the greater miracles that he can work in the lives of all of us. 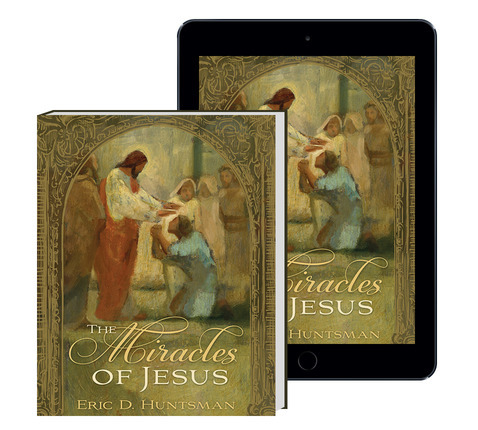 In The Miracles of Jesus, author Eric D. Huntsman blends perceptive doctrinal insights with historical context, literary analysis, and specific personal application. His exploration of the meaning and symbolism of each of the Savior's miracles shows us how they can bless us in the challenges we ourselves face today. Here, for example, he draws connections between the devils the Savior cast out and the demons we or loved ones may face in overcoming addiction or recovering from abuse. And we see in a new way how the promise inherent in Christ's raising of Lazarus and the daughter of Jairus can comfort us at the death of someone we love. Fine-art paintings and musical meditations enhance our experience by illustrating Jesus' miracles and their power. Photographs of sites in the Holy Land where many of the miracles were performed give us a sense of place, reinforcing the fact that they really happened. Through these inspirational means, we find that the miracles Jesus performed in New Testament times can become a springboard to the miracles that continue to occur in our own lives—transformations made possible through the Atonement of our Savior, Jesus Christ. See "The Miracles of Jesus" as featured on "By Common Consent." 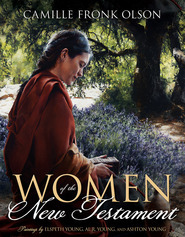 This is Huntsman’s third publication with Deseret Book, and it delivers everything that we have come to expect from this author. Nobody is more adept at looking at scripture through a lens that is at once both scholarly and devotional. His approach ensures that his books will appeal to readers of all backgrounds and interests. Those interested in learning more about the light that biblical scholarship sheds on the miracle narratives in the New Testament will be amply rewarded with sidebars (“Medicine and Healing in the Ancient World,” “Views of Demons in the Ancient World,” etc. ), thorough explanatory footnotes, and an appendix that discusses such issues as the historicity of the miracles. 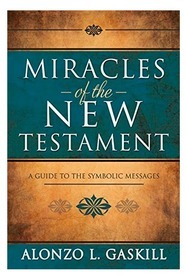 On the other hand, those who desire to learn more about these miracles from a confessional approach with an eye to finding meaning that is applicable in their own lives are sure to benefit from Huntsman’s explication of the symbolism and theological meaning that is to be found in each of the miracle accounts. The author’s love of inspiring artwork and moving music is reflected on almost every page with stunning photos, artwork and side bars filled with the lyrics of some of the great Christian hymns that praise Christ for his role as healer and deliverer. Readers of Huntsman’s previous books will be familiar with the personal nature of his writing and his interest in bringing in personal accounts and family anecdotes. Perhaps the most moving example of this yet is found in the second appendix of this book, in which Huntsman recounts a miracle that occurred between him and his autistic son while his family was living in Israel. The stirring story reminds all of us that miracles are not just the stuff of scripture, but are to be found all around us as a testimony of our Savior’s love for us. Jesus is a worker of miracles. In speaking personally to Eric Huntsman about this book he told me he wrote it to help people realize that while the Lord might not give them the miracles they are specifically hoping for He is still giving them miracles. As you read of Christ's miracles you might see a parallel to the miracle you are praying for. "Restoring a paralytic's ability to walk or a man's ability to use a previously withered hand can represent the strengthening and enabling power of the Atonement as well as anticipating the full healing of the resurrection. Cleansing a leper symbolizes the redeeming power of Jesus' sacrifice that can purify our heart and souls. Returning the ability to see and hear symbolizes the deeper meaning of opening our spiritual eyes to see things as they are and opening our ears to hear the word of the Lord." But have you ever thought about the miracle of casting out devils? Is there an addiction you are trying to cast out? Have you prayed for a miracle? Of course the greatest miracle is the Atonement...how blessed we are to have access to the Lord's Atonement. Do we fully utilize it in our lives? This book is BEAUTIFULLY illustrated...Bringing the miracles of Jesus alive in our hearts. Reminding us of His love. And showing us the way to savor the miracles that do come to us and our loves ones. Be sure to read of the author's miracle involving his autistic son...very touching! Some of the most powerful accounts in all scripture revolve around the miracles Jesus performed during his mortal life. Huntsman looks at these accounts not only as the incredible moments that they were but also the power symbolism that they involve. Using explanations of ancient language, gorgeous artwork, interesting sidebars, as well as musical references, the reader is taken on a journey through Christ's life and what it can all mean in our own lives today. One of the things that Huntsman mentions that I found very interesting is how many people see what Christ did in terms of healing the sick or commanding the elements as 'unnatural' or 'supernatural'. He points out that since Christ is the Creator, nothing he did was unnatural. He also suggests that there are many laws that we simply may not be aware of yet. And I strongly believe he is correct. The overall impression I got of this book was that the miracles that Jesus performed all come together to do one thing and that is identify Christ as the divine being that he was and is still. His miracles were not intended to be signs but witnesses to those already willing to believe. Such miracles are not limited to Christ's mortal life, He is still more than willing to offer miracles to us, but we have to exercise the faith necessary to accept what he offers, even when it isn't what we originally wanted. 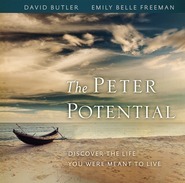 An beautiful and inspiring book that is also a wonderful resource. The Miracles of Jesus is a beautiful and resourceful book. I really loved reading through these stories of awe-inspiring faith and miracles. There are beautiful pictures, maps of the various areas where the miracles took place, background information from the historical setting and beliefs, hymns, and present day and personal application. It is beautifully put together. I would definitely recommend The Miracles of Jesus for Christians and those who are members of The Church of Jesus Christ of Latter-day Saints who would find this compilation inspiring and would use it as a reference for family home evenings, talks, and lessons. It would also make a beautiful gift. Accessible, yet in-depth discussion of the miracles of Jesus. Scholarly and personable, all at the same time. The book is wonderfully illustrated, well written, and very accessible. One of Huntsman's strengths is his ability to introduce the non-academic biblical student to the world of biblical scholarship in a way that is not overwhelming or faith-destroying. The text boxes throughout the book provide keen insight into both the more scholarly side of things, as well as the personal application that is so helpful. This book in particular seems to have been a labor of love, as he discusses his own family's struggles and need for miracles. This book would make a wonderful addition to any gospel library in the home, and will be particularly useful to those families who may be struggling through dark and turbulent times. I highly recommend it! This is a remarkable book in the study of the miracles of Jesus. 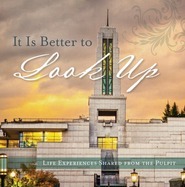 It would be hard to find a better researched, scholarly treatment of the miracles from Deseret Book. Huntsman writes in an extremely approachable style while not skimping on content. He treats each miracle of Jesus and draws upon many (not only LDS) sources that provide a greater understanding of why Jesus performed each miracle, and what it meant for the people involved, and for us. A definite must buy! Huntsman's masterful understanding of the New Testament, particularly the Gospels, really shines through in this analysis of the miracles of the Savior. 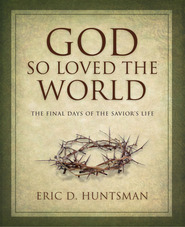 In addition to simply speaking of the miracles of Jesus Christ, Huntsman makes a concentrated effort to ensure that the reader can see the ways in which the miracles performed by Jesus are applicable and evident in the Latter-days. In addition to informed scriptural insight, the personal stories allow for reflection to more fully recognize the miracles in our lives. Like Huntsman's other two books on the Savior, this volume is filled with awe-inspiring pictures that allow all ages to be touched by the spirit of the miracles of Jesus Christ. I highly recommend this book to any who are searching for a greater understanding of our "God of Miracles"